Imagine my delight when Forks Over Knives called and asked me if they could feature one of my recipes from The Mindful Vegan: A 30-Day Plan for Finding Health, Balance, Peace, and Happiness. 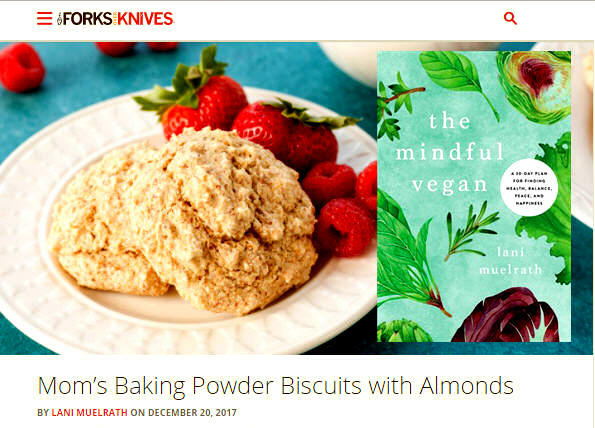 Mom’s Baking Powder Biscuits with Almonds recipe had caught their fancy, and they wanted to feature the recipe in their breakfasts recipes on the Forks Over Knives site. They also wanted to include the recipe in their “great breakfasts” roundup newsletter that went out today. “These comforting breakfast biscuits are a perfect way to slow down and savor holiday mornings. 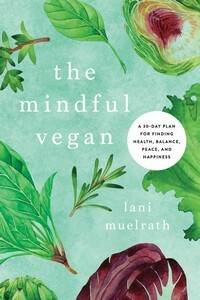 It’s one of a few choice recipes from Lani Muelrath’s latest book, The Mindful Vegan: A 30-Day Plan for Finding Health, Balance, Peace, and Happiness. 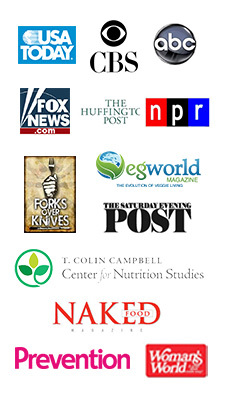 …are just a click away at the Forks Over Knives website here. 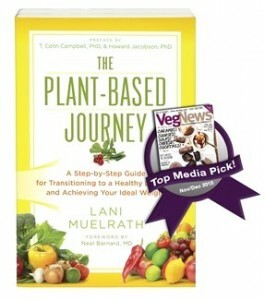 You’ll also find it on page 251 of The Mindful Vegan book. Thank you, Forks Over Knives, for bringing this recipe into more hands, hearts, and stomachs! Lani, I already tried this recipe when I bought your book. As a matter of fact I’ve made it three times now! It is so fast and easy. 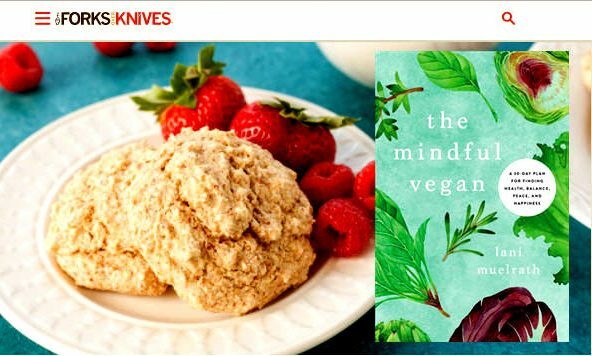 And how great that Forks Over Knives features it now too – and tells more people about your wonderful, wonderful book The Mindful Vegan. I am loving it so far, now on Day 23, and it is going to make 2018 a different kind of year for me, in all the best of ways. I can tell.